Sunflowers are not picky about the weather conditions. Therefore, they can be widespread almost everywhere. But Ukraine and Argentina are world leaders in growing and exporting them to other corners of the globe. Although even in Soviet times raw sunflowers were imported from abroad. 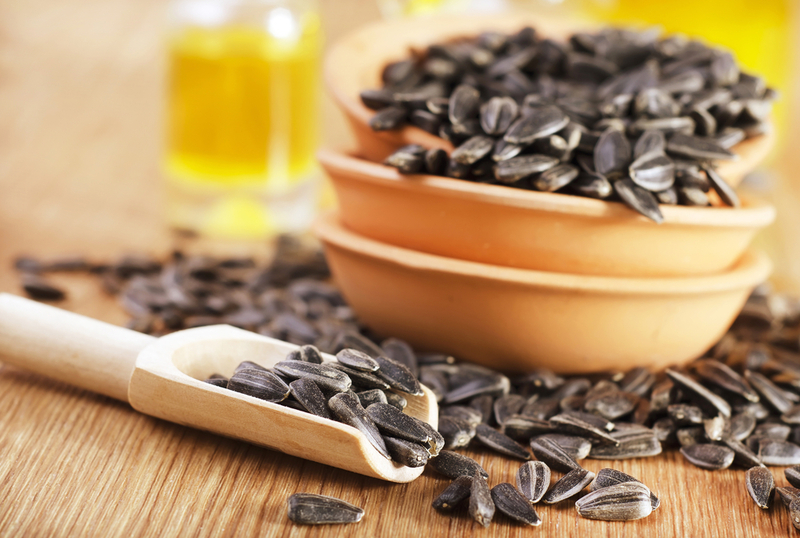 Alongside with sunflower oil, the seeds are also popular and have great demand. They have become basically a must-have during watching TV in the evenings. But are they so beneficial and will be there a risk of ‘overeating’? Let’s find out! Calcium, magnesium, and zinc. They are essential for the nervous system! By eating up to 100 grams of seeds a day, you can ensure good health of your skin, hair and cardiovascular system. You will start to feel better and spend less money on make-up products. Moreover, the seeds stimulate the bowels and boost your immune system. If you are wondering “To eat or not to eat?’, then make sure to follow your first thought. If everything was so perfect, the manufacturers of seeds on an industrial scale would have been rolling in billions of dollars. Let’s start with harmful substances. The ‘stop-signal’ #1 is cadmium. It was found in excessive doses almost in all seeds of industrial production. Cadmium gets into products through water and soil. It is accumulated in the body and only after some time it affects us. Therefore, it is harmful to consume it. However, there is a daily intake which is considered as a norm. It is 0.02 mg per 100 g of products. In comparison, a pack of cigarettes contains 0.02 mg of cadmium. Fats are most easily absorbed by the body. That is why they are the main source of energy. Everything that wasn’t spent is accumulated in our body. This fact may not be so important for men. But girls should be careful about a number of seeds consumed. One glass of seeds has twice as many calories than the entire chocolate bar! There are 538 calories per 100 grams of a product. But sunflower seeds don’t have cholesterol. They are even recommended to be included in the diet to compensate beneficial fats in the body. But don’t eat too much, just 20-30 grams a day. By the way, roasted sunflower seeds basically have no nutrients. That is why it is better to dry seeds in the oven or microwave. Also, our teeth won’t thank us later. ‘Cracking’ can damage enamel and hard tissues, and cause cracked teeth. So, it is better to crack them using your fingers. Sunflower seeds are a goldmine of nutritious substances. You can and should eat them! То avoid danger one should take a safe course of action.